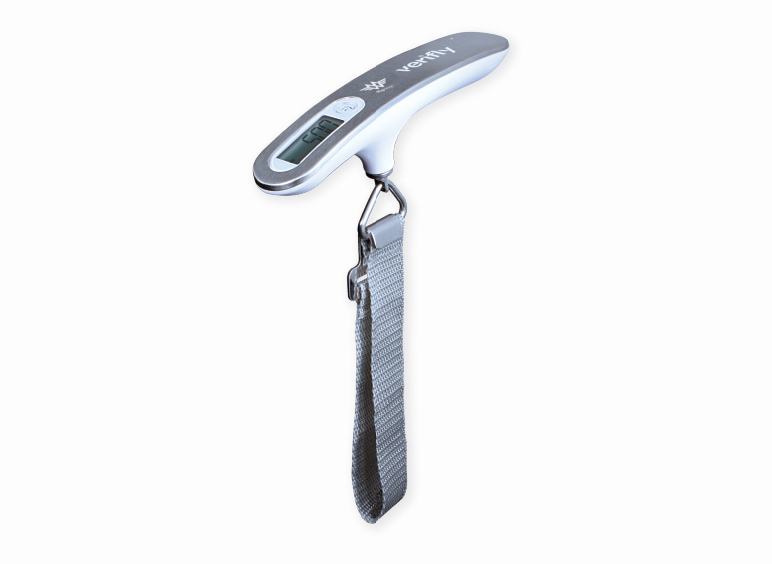 The My Weigh Verifly is a very high 110 pound (50 kg) capacity digital luggage scale that is so light you can take it with anywhere you go. Avoiding overweight baggage charges is easy with the My Weigh Verifly: just strap it to the handle of your bag, turn on the scale and lift from the hanging scale’s sturdy handle. Customer support for the world's best scale brands. The HBI Technologies® brand and related packaging are registered trademarks of BBK Tobacco & Foods, LLP d/b/a HBI International.